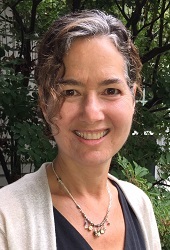 Hanna B. Sherman, MD, serves as Program Co-Director of Health and Health Care for the Center for Courage & Renewal, an organization dedicated to supporting a more just, compassionate, and healthy society by helping people bring more integrity and wholeness into their work places and lives. In her role, Hanna works with leaders and organizations to develop safe and trustworthy spaces for personal and professional growth, positive change, and life-giving choices. Since 2008, she has co-led Courage to Lead®, a retreat series for leaders in health and health care. Hanna writes and speaks nationally about professional formation, inner leadership, and relational trust in organizations. Her former consulting group, Relationship Centered Health Care, was a forerunner of promoting relationship centered leadership and care. In 2010 Hanna co-founded Partners for ACCESS, a nonprofit supporting a medical clinic, nursing school, and community development in rural Uganda. Currently Hanna is one of the founding leaders of “100 Million Healthier Lives,” an effort convened by the Institute for Healthcare Improvement and led by a multistakeholder collaboration to co-create a culture of health and well-being on a global scale. Hanna is married to Daniel Sheff, MD, with whom she has founded a spiritual community in the Boston area. She and her husband are graced with three daughters, Rebecca, Jocelyn, and Naomi. Hanna enjoys being with family and community, the beauty of art and nature, kayaking and hiking, and learning about diverse cultures and wisdom traditions.